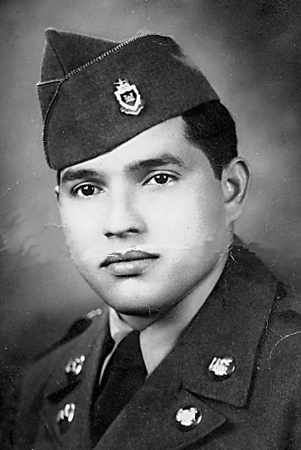 Mario Irizarry Jusino, 91, of New Britain, and formerly of San German, Puerto Rico, passed away on Sunday, Feb. 3, 2019, surrounded by his loving family at the Hospital of Central Connecticut in New Britain. Born in San German, Puerto Rico, he was the son of the late Jose Irizarry Acosta and Luisa Jusino Torres. He was a long time resident of Plainville and was formerly employed at Fafnir Bearing in New Britain, for many years. He retired back to Puerto Rico and built his dream home for his wife and family to enjoy. Mario greatly enjoyed gardening, playing dominoes, and watching football, especially the New England Patriots. He leaves to mourn his passing his only son, Robie Irizarry and his wife, Josephine; two granddaughters, Vanessa Irizarry, and Jennifer Gordon; two great-grandchildren, Michael DiBenigno, Jr. and Emily Gordon. He is also survived by his siblings, Rosa Gomez, Sophia Rodriguez, Sr., Esther Irizarry, and Sr. Luisa Irizarry, as well as many nieces and nephews. Mario was predeceased by his brothers, Milton, Marcial, Prudencio, and Jose. The family would like to extend their appreciation to the ICU nursing staff at the Hospital of Central Connecticut, as well as a special thanks to Mario’s long term caretaker, Roy Vieva. Calling hours will be held on Wednesday, Feb. 6, from 5-7 p.m. at Erickson-Hansen Funeral Home, 411 South Main St., New Britain. Funeral service and burial will be held in San German, Puerto Rico. In lieu of flowers, donations may be made to the family to assist with the funeral services in Puerto Rico. Please share a memory of Mario with the family in the online guest book at www.ericksonhansen.com . Posted in New Britain Herald, on Tuesday, 5 February 2019 19:22. Updated: Tuesday, 5 February 2019 19:24.